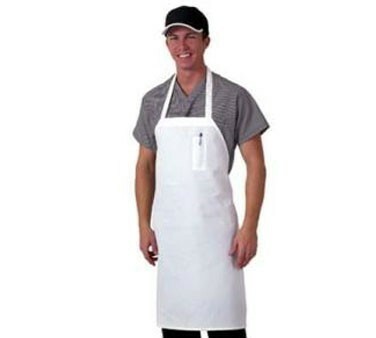 The stylish and functional Chef Revival 600BAW-D Deluxe White Blended Twill Bib Apron offers a sleek and professional look while protecting your staff's clothing from spills and stains. Tailored with durable self ties, this apron allows for easy adjustment to provide a comfortable fit and has a pencil pocket for storage. Thanks to its poly/cotton blend fabric, this butcher apron will endure heavy duty use and repeated washing.